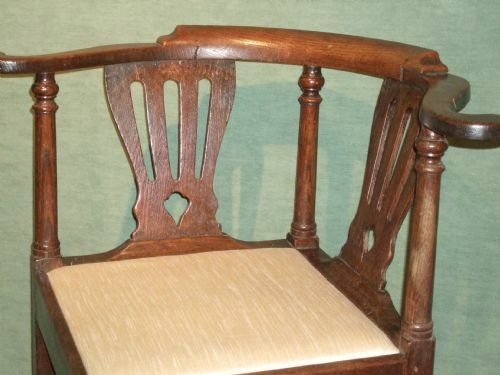 Excellent Colour & Patination, with Gold Tooled Leather Writing Surface. 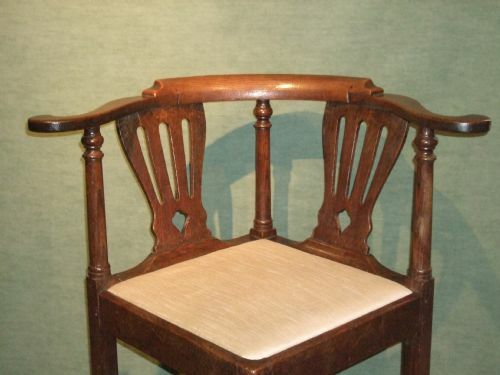 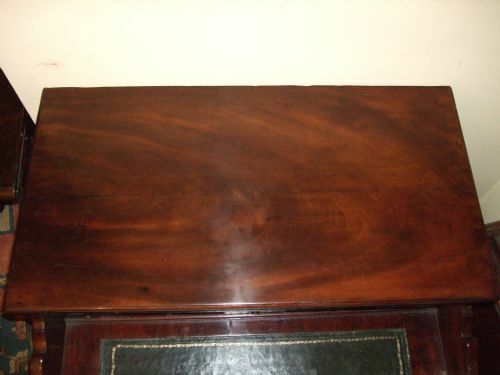 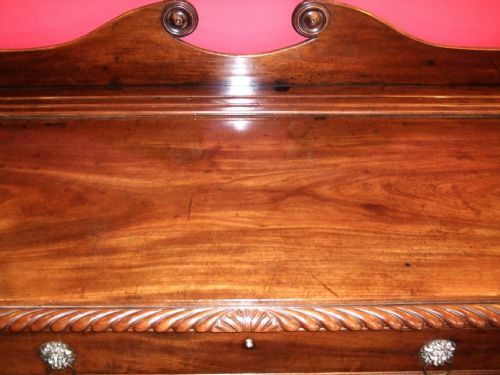 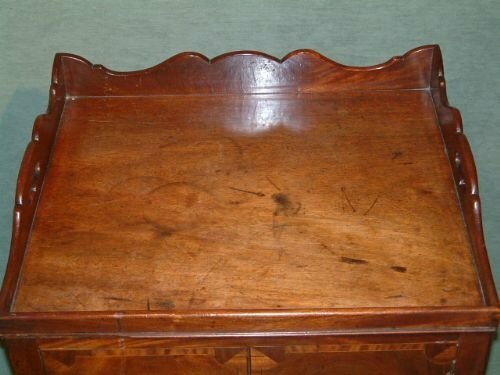 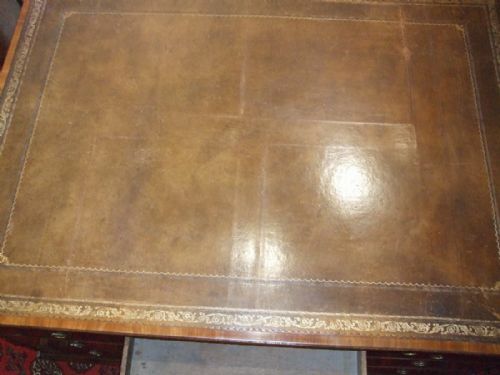 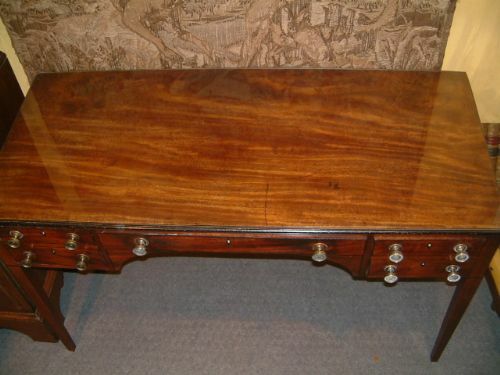 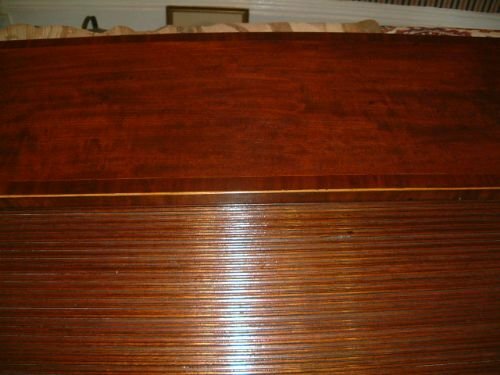 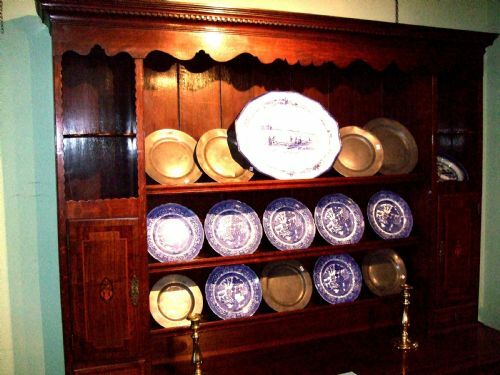 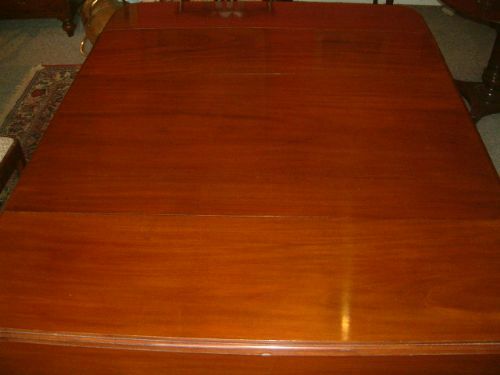 George 3rd Mahogany Pembroke Dining Table with Original Leaves. 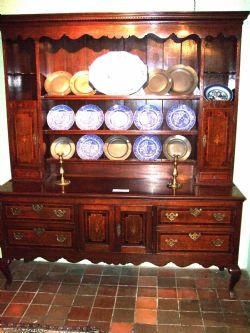 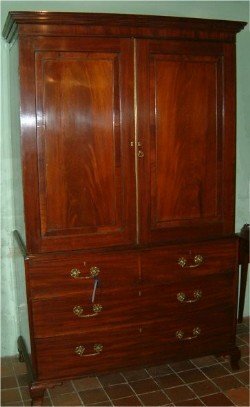 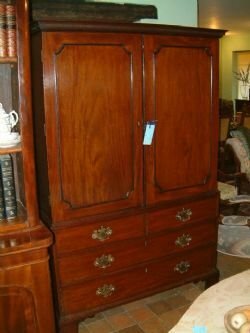 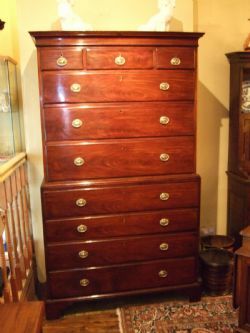 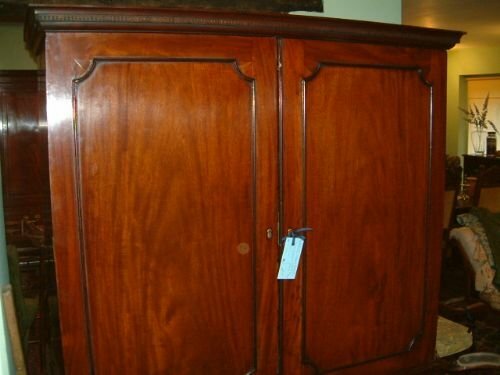 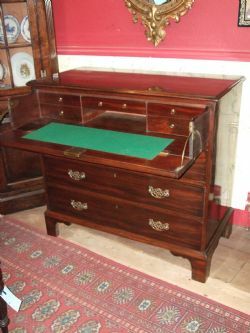 George 3Rd Mahogany Secretaire Chest with Satinwood Fitted Interior Nicely Figured Mahogany the Fall Front Revealing a Well Fitted Satinwood & Mahogany Interior with Pigeon Holes Secret Drawers & a Green Leather Writing Area, Supported on Splay Feet. 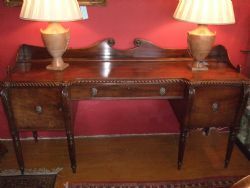 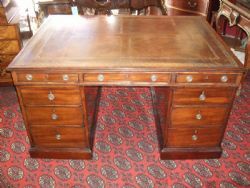 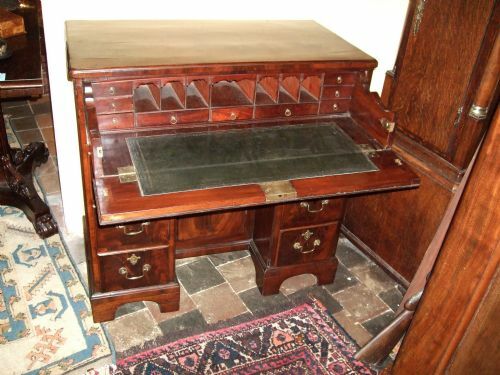 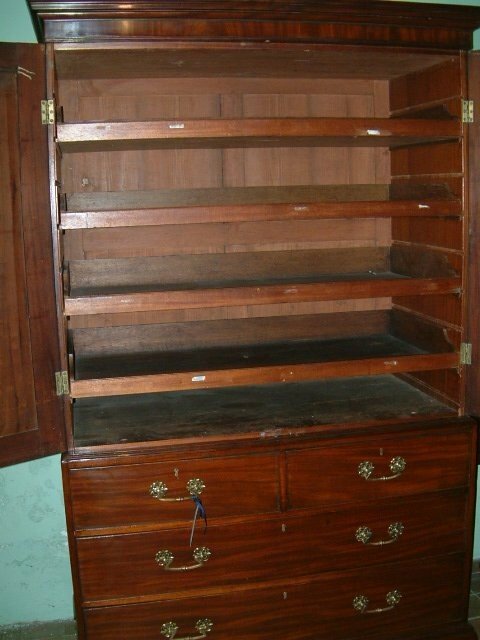 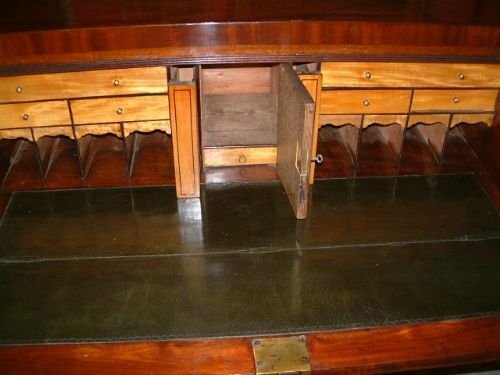 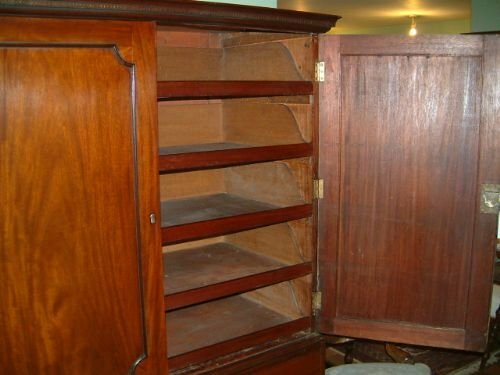 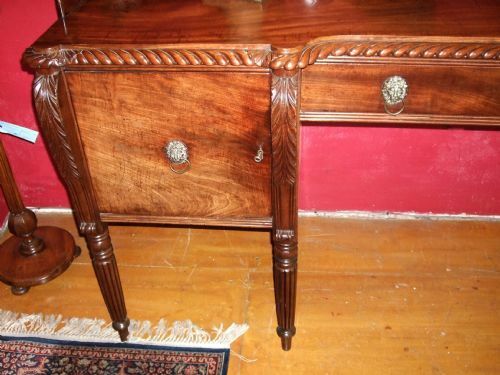 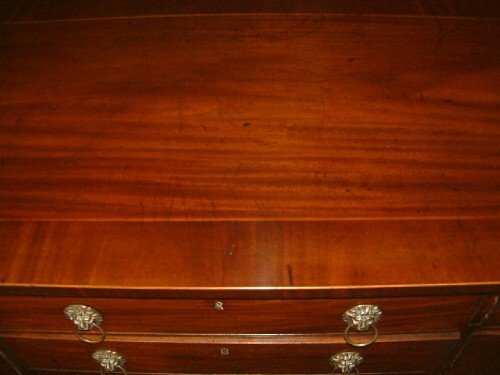 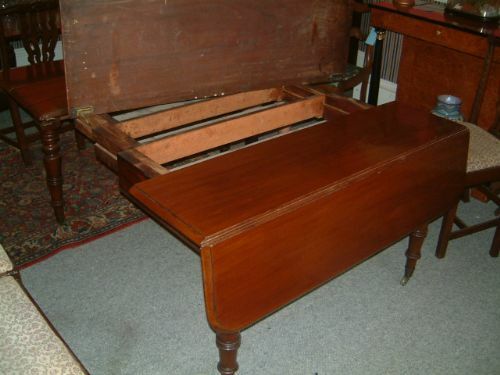 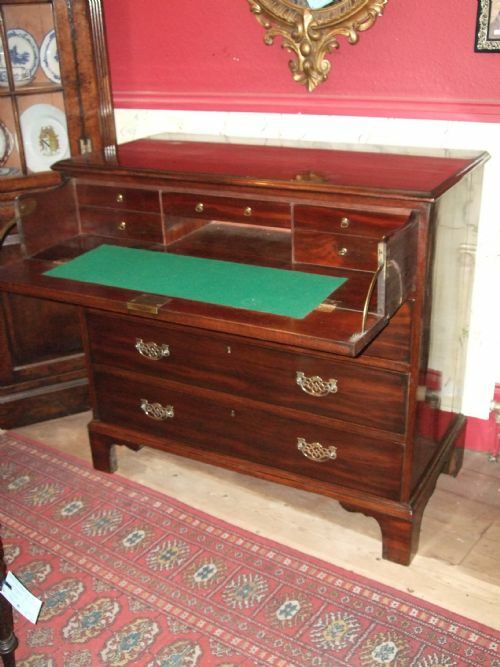 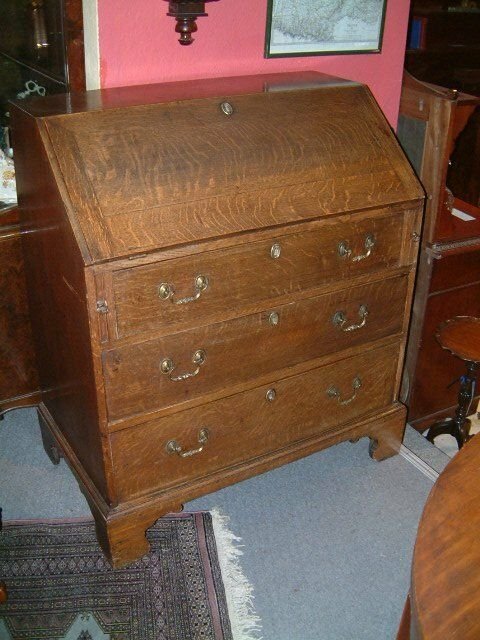 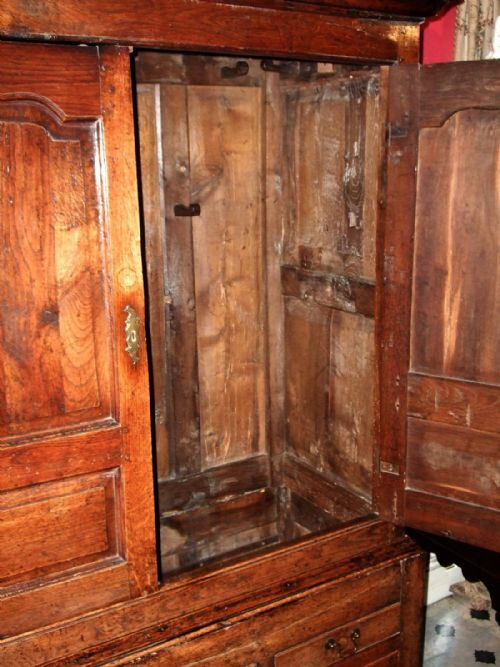 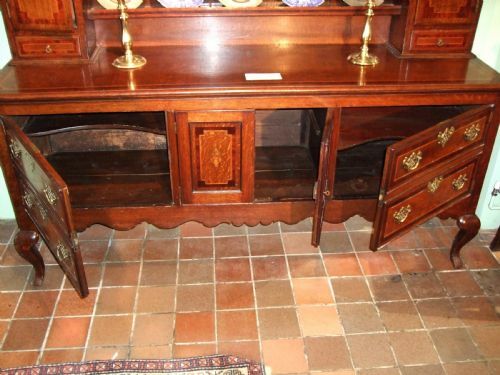 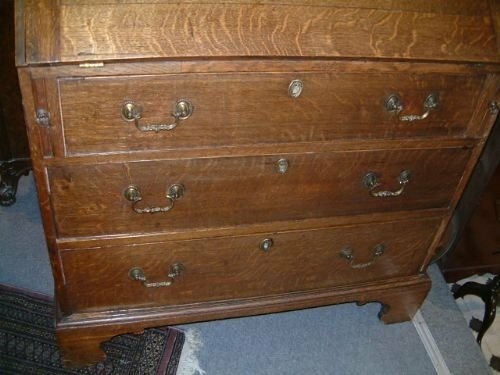 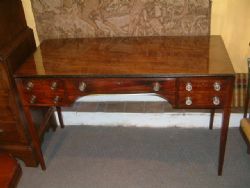 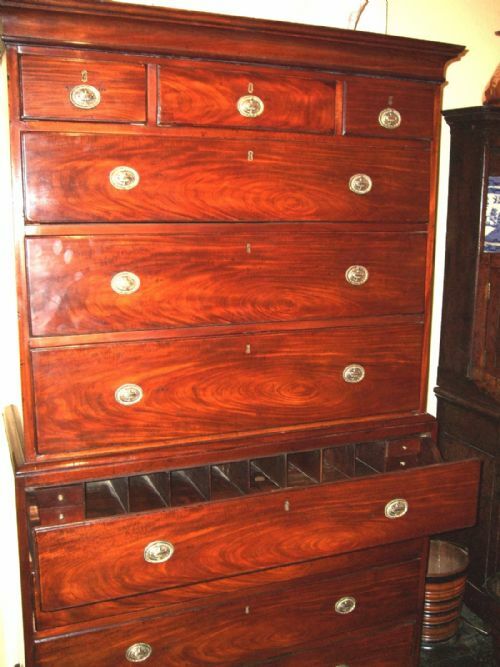 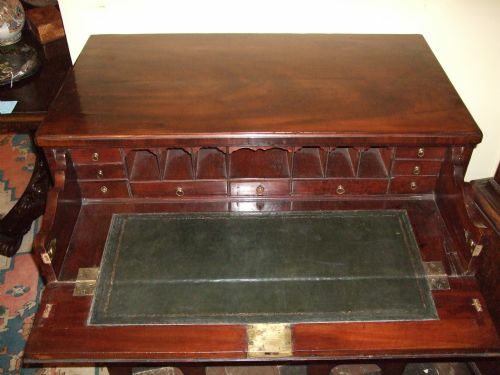 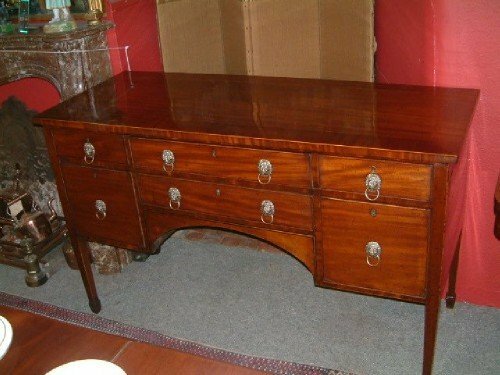 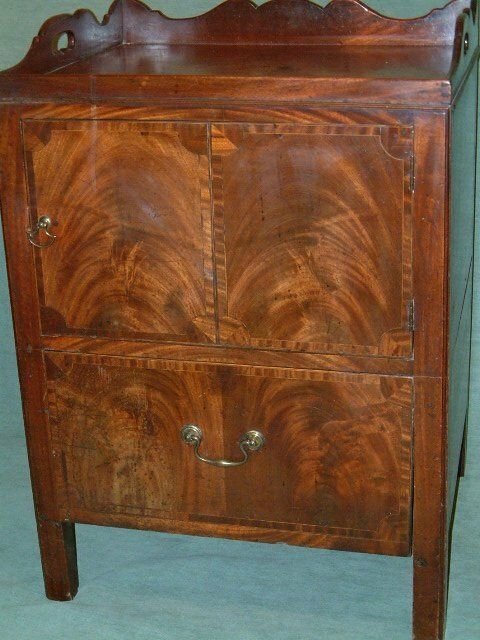 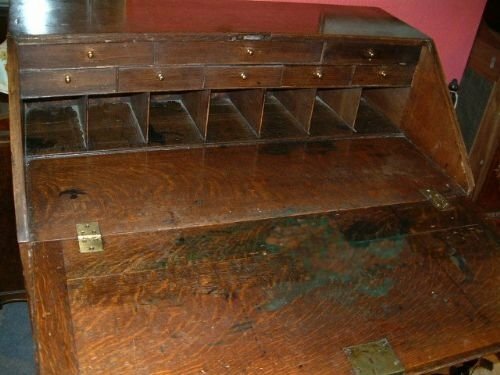 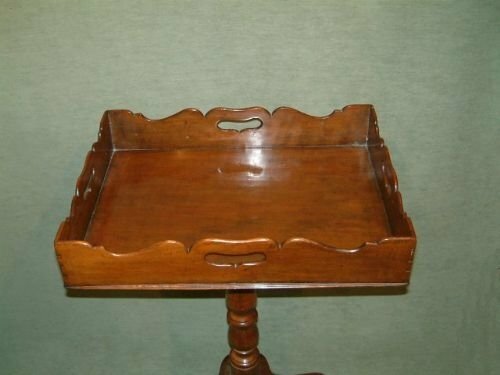 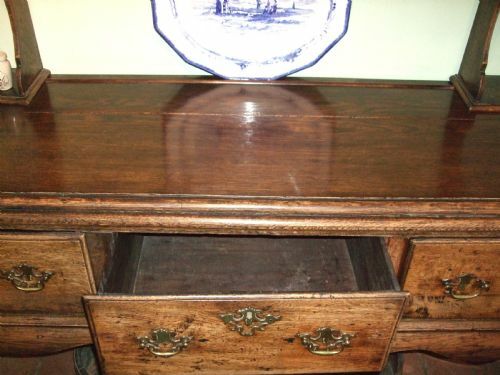 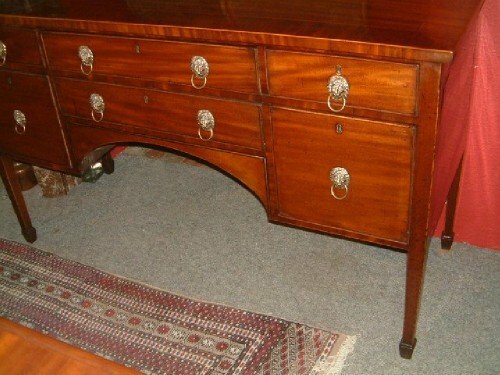 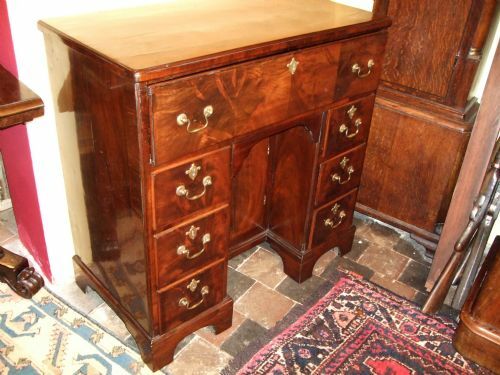 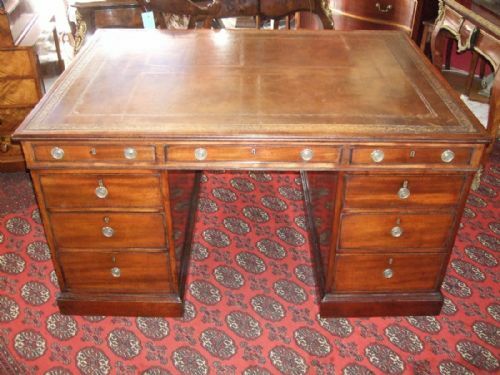 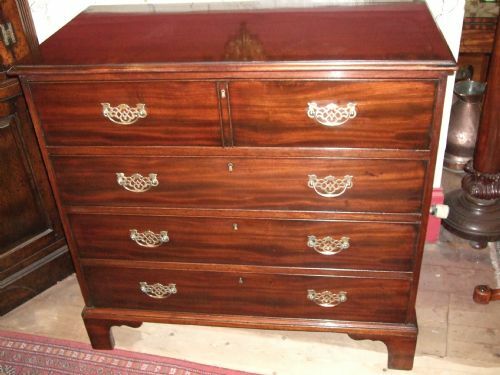 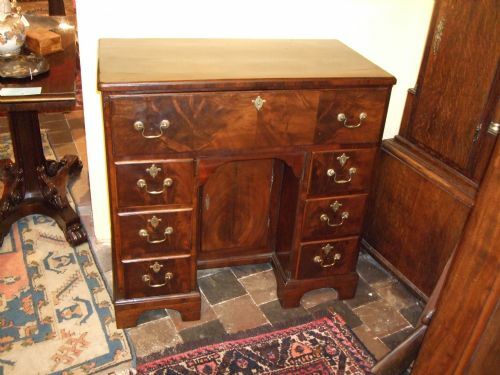 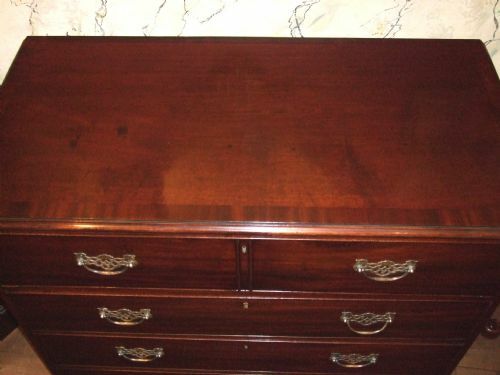 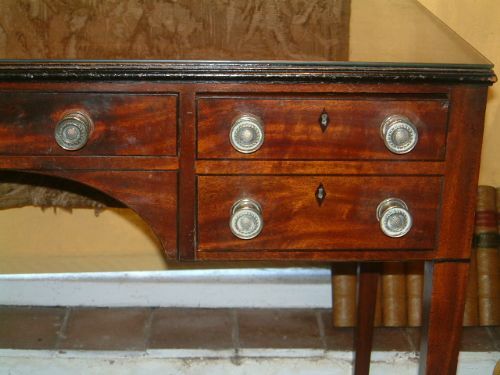 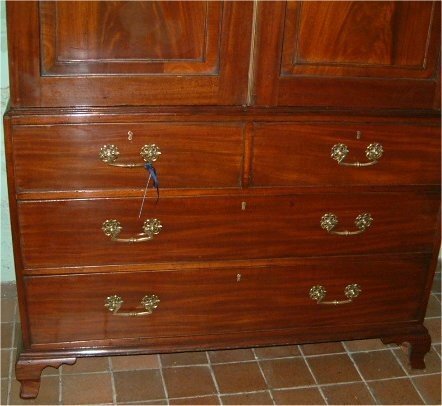 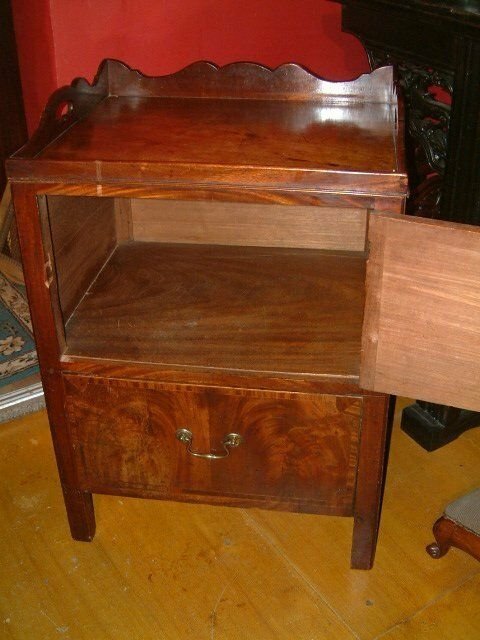 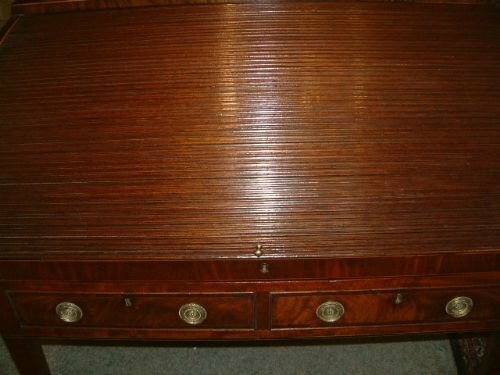 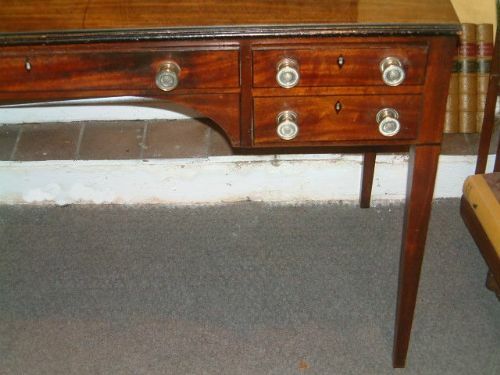 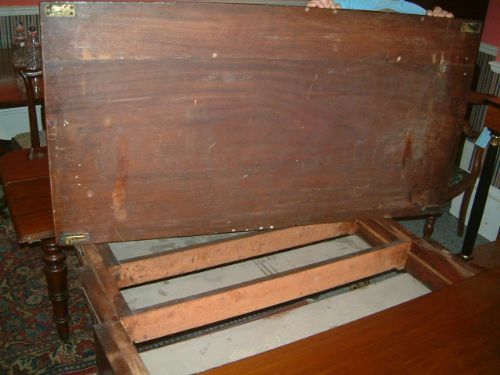 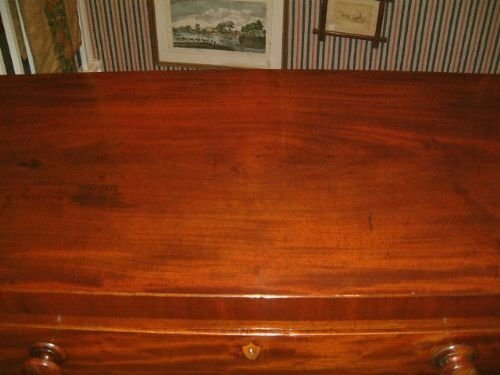 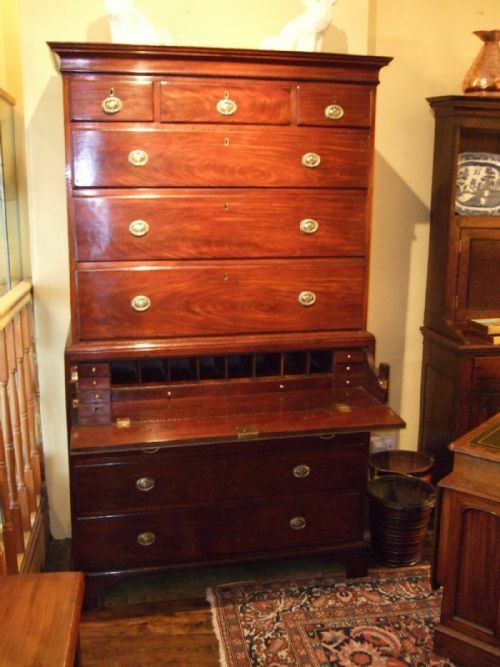 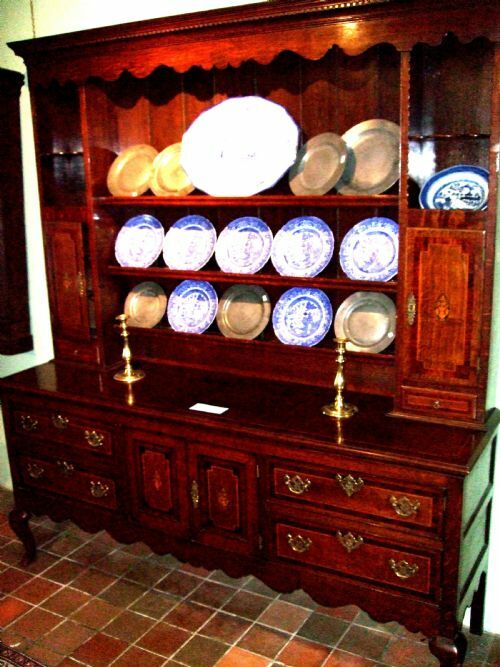 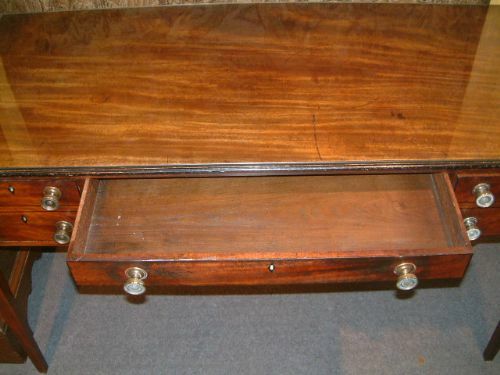 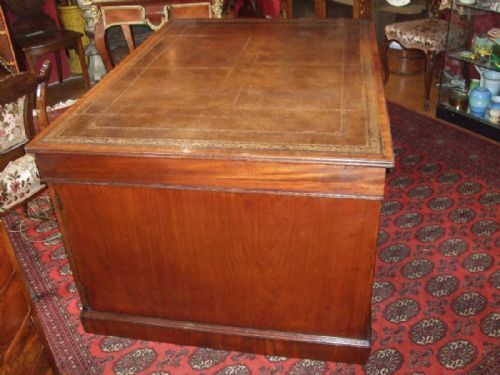 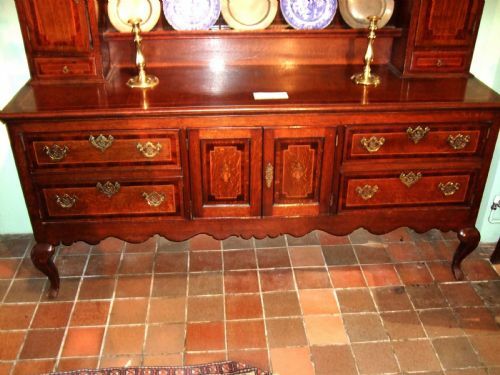 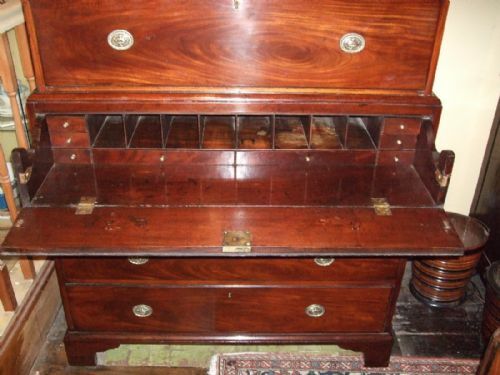 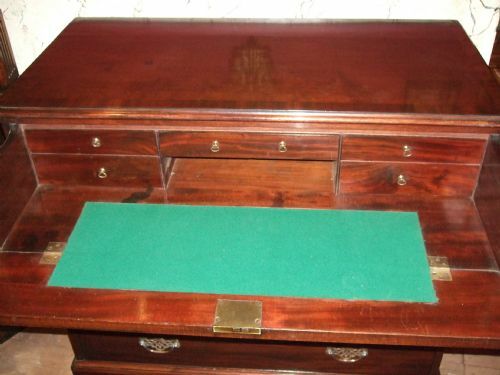 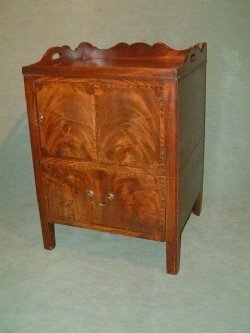 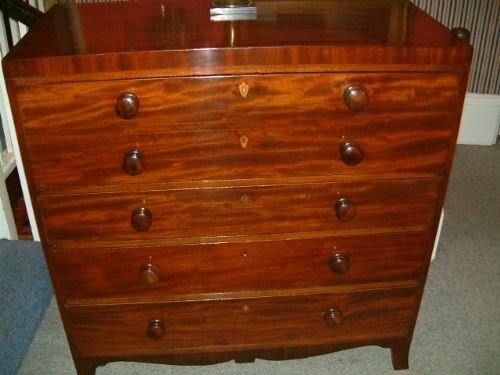 George 3rd Mahogany Secretaire Kneehole Desk with Secret Drawer. 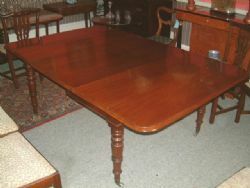 Superb Colour & Flame Mahogany Figuring. 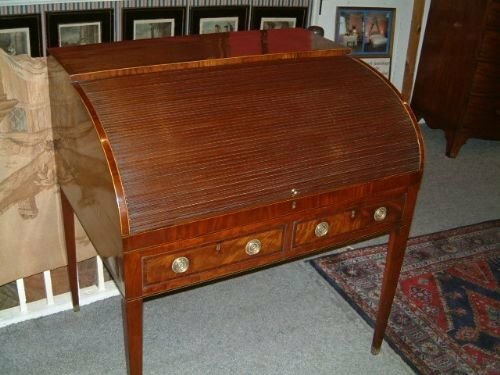 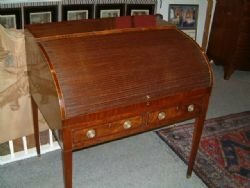 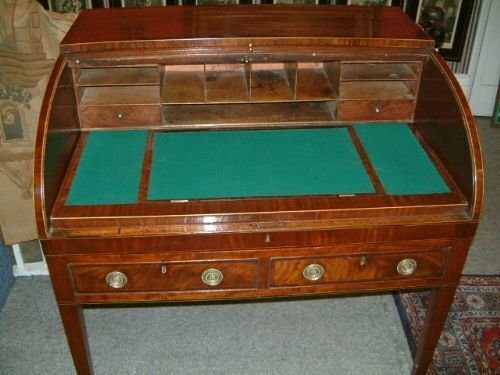 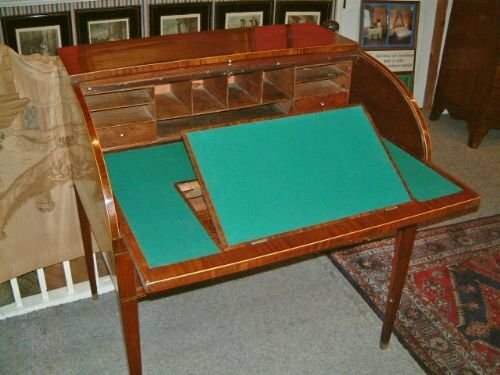 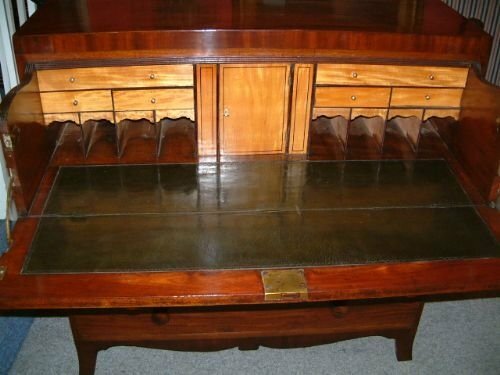 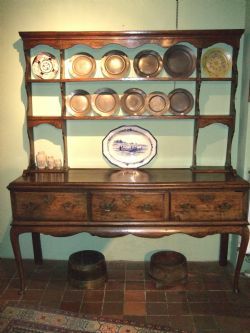 George 3rd Mahogany Tambour Writing Desk with Crossbanded and Line Inlay Decoration, The Tambour front Revealling Pigeon Holes & Drawers the Green Baize Lined Writing Area which Pulls Forward & has an Adjustable Writing Slope. 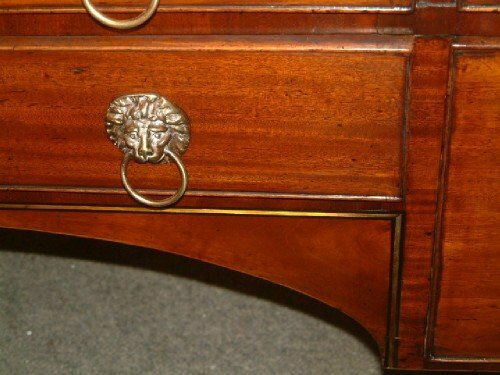 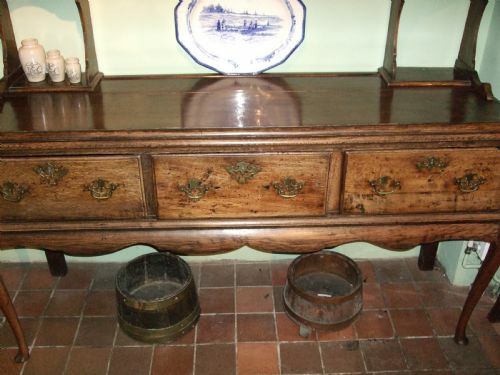 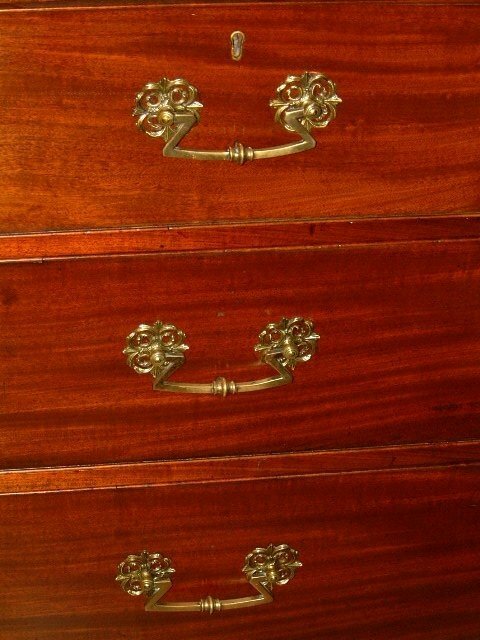 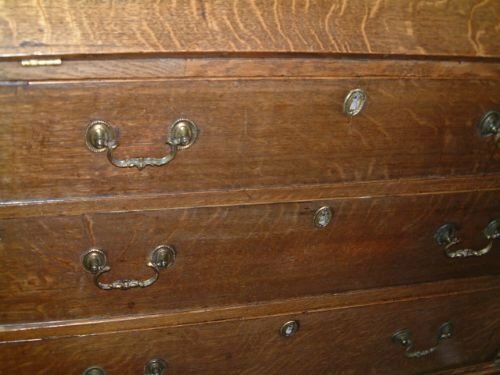 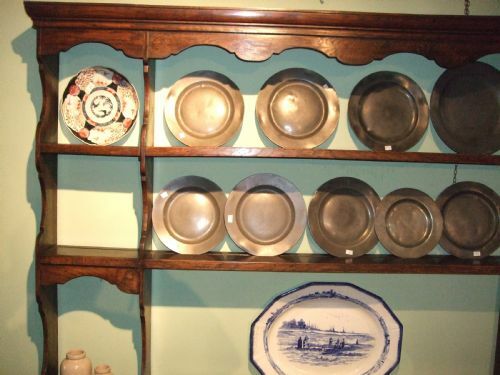 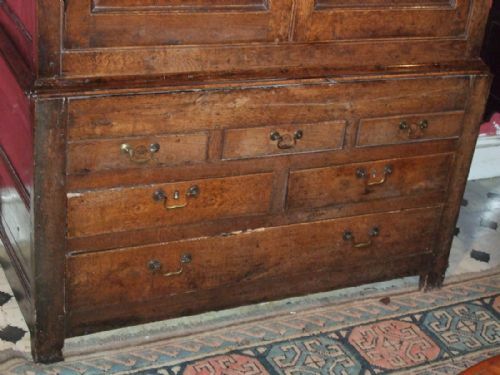 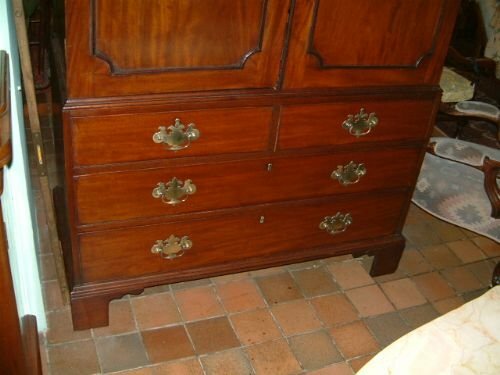 Above Two Drawers with brass Ring Pull Handles Supported on Square Tapering Legs with Brass Casters. 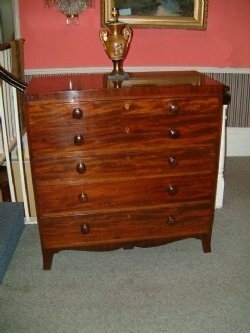 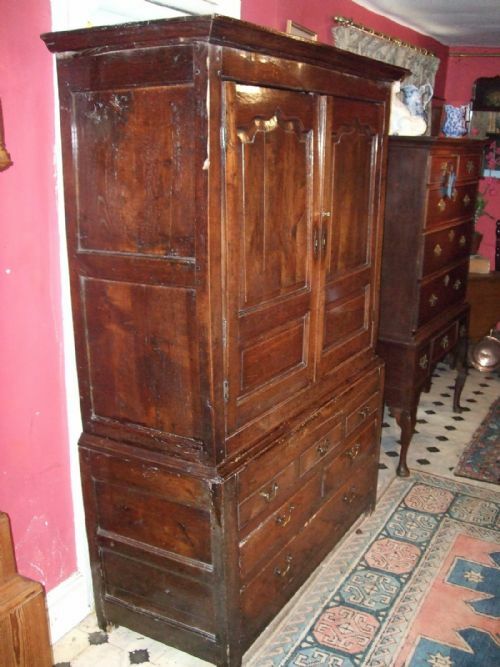 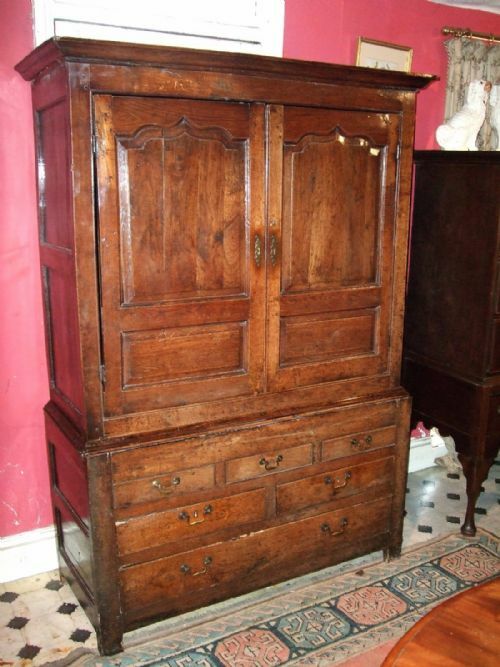 A Superb & Handsome piece of Furniture. 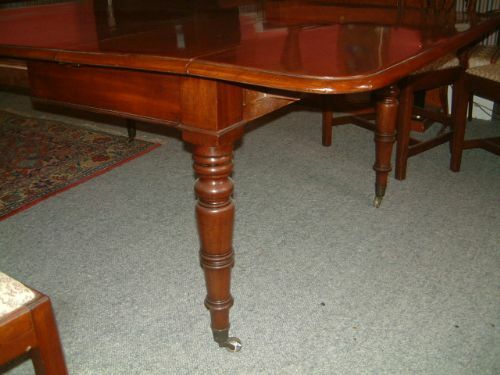 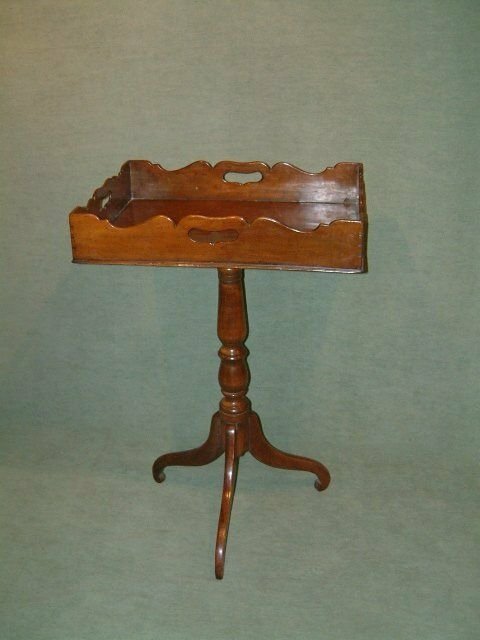 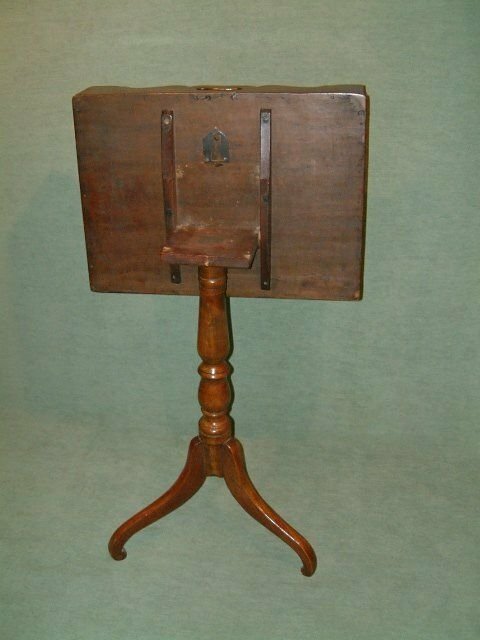 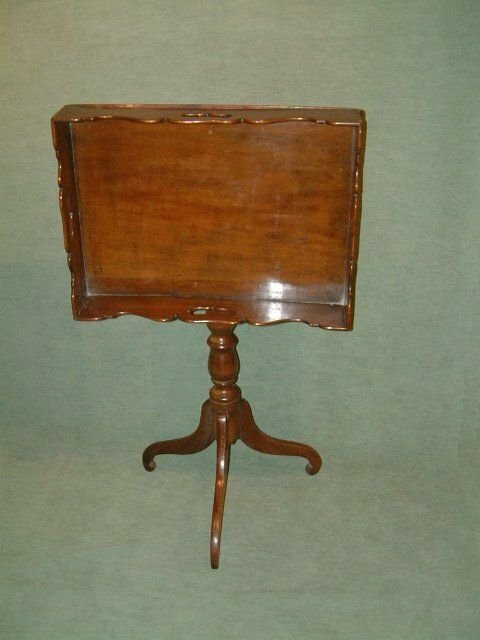 George 3rd Mahogany Tilting Tray Top Pedestal Table, an Unusual Table with Iron Release Mechanism. 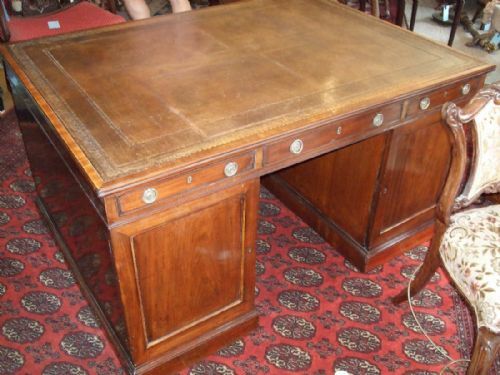 George 3rd Mahogany Writing Table with Inlaid Lines & Brass Knobs, Good Colour & Patination now with Glass Top. 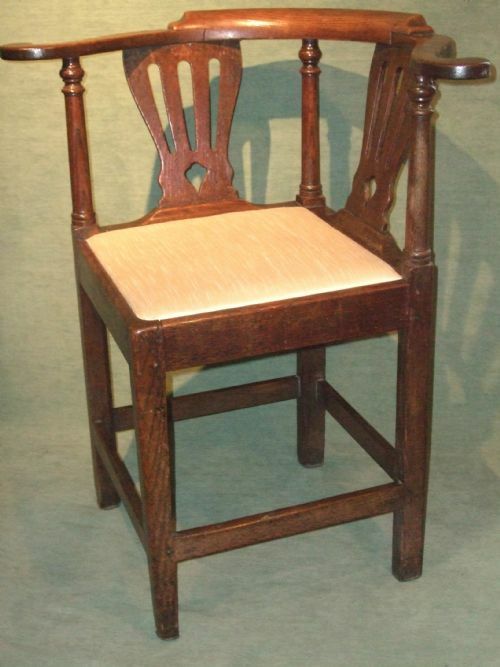 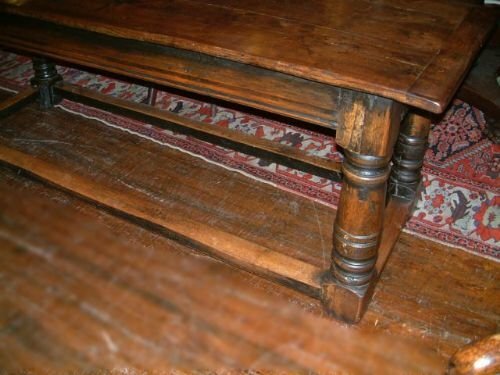 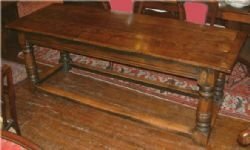 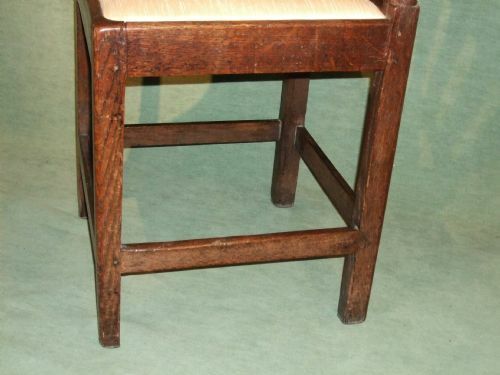 George 3rd Oak Refectory Table.